Adjustable Cable Necklace in 14K Two Tone Gold . 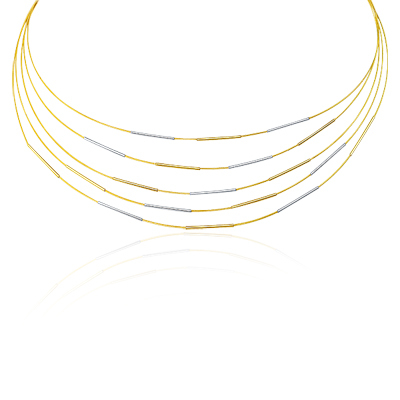 This scintillating Two Tone Gold Adjustable Necklace is embellished in 14K White and Yellow Gold. The necklace comes finished with a 15-inch to 17-inch Cable Link Chain. A contemporary design expressing style.